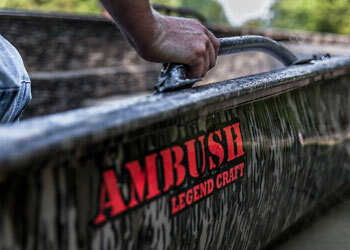 The Outlaw lives up to its name, so rugged it breaks all the rules in performance aluminum boats. 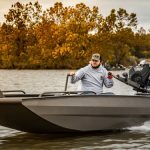 The Outlaw series has been called a bulldozer for its ability to go about anywhere and take the most extreme punishment without a problem. 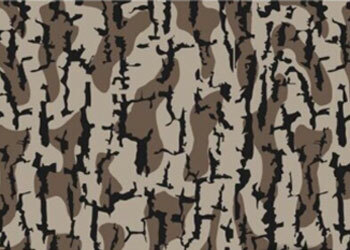 Outlaw is perfect for those areas where the water gets shallow and the timber gets tight. 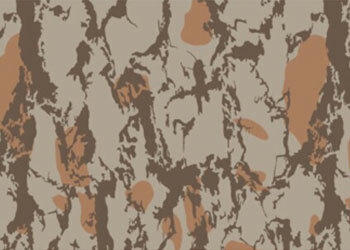 Our uniquely designed floor plan features even more storage area than our Ambush series. 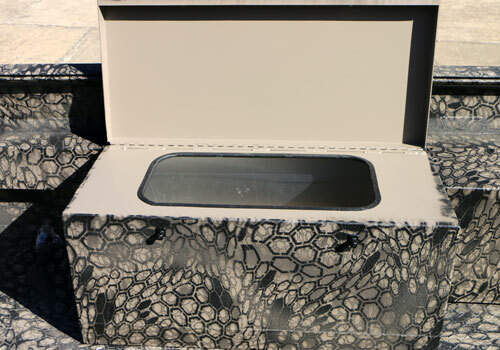 Comes standard with inset transom providing easy access in and out of the boat. One of the greatest features is the way the motor is mounted. 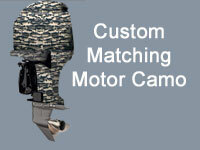 Set farther back, our special transom design gives you plenty of room to tilt the motor without hitting the transom. 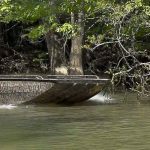 Perfect for running in shallow water without the worry of your motor kicking up and hitting the transom. 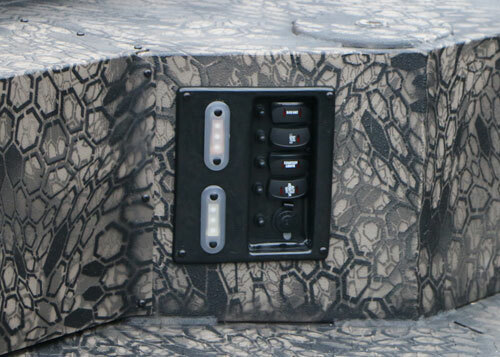 The fuel line is from the back of the boat to the front so you can store your fuel in the front storage hatch. 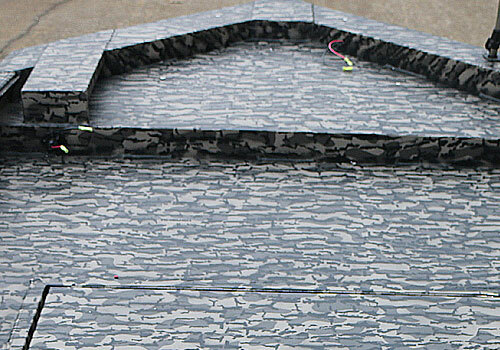 Built with 3″ schedule 80 aluminum pipe on the bow for maximum durability. 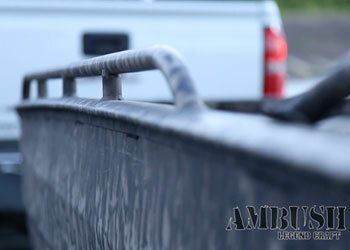 Our heavy duty top gunnel rail is perfect for mounting accessories and runs the length of the boat. 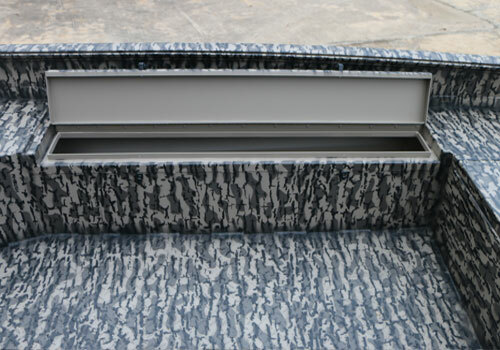 Also features a special groove designed for additional wiring and can be covered with rail trim. 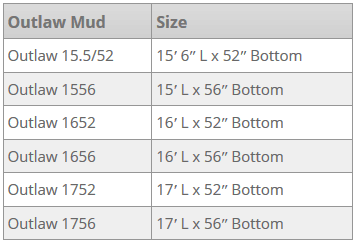 Choose between our Mud Hull and Outboard Series. 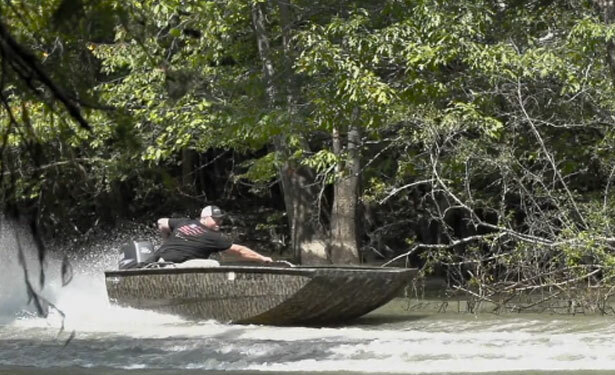 Our Mud Hull will allow you to venture into areas where an outboard can’t go. 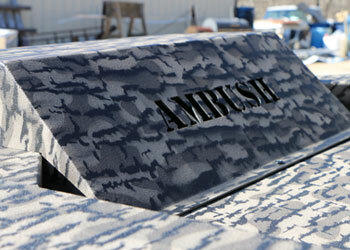 The specially designed hull is smooth and will glide easily over the muck and mud. 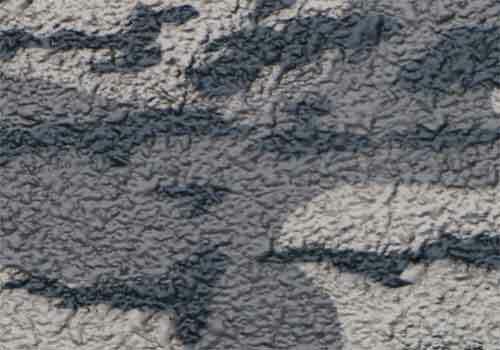 Tough enough for the best mud motor. Comes with adjustable grab bar for stability. 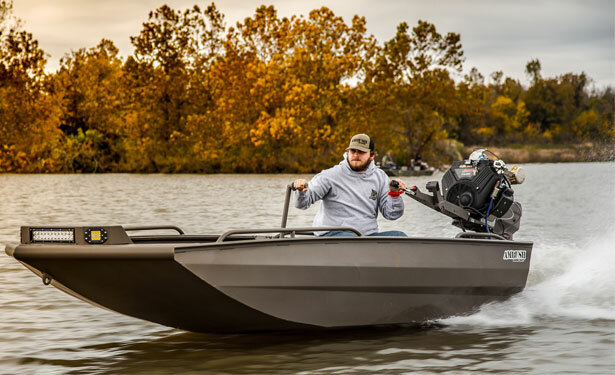 Our Outboard Series is the same overall design as the Mud Hull except the bottom is corrugated to give you more traction and better turning ability with an outboard motor. 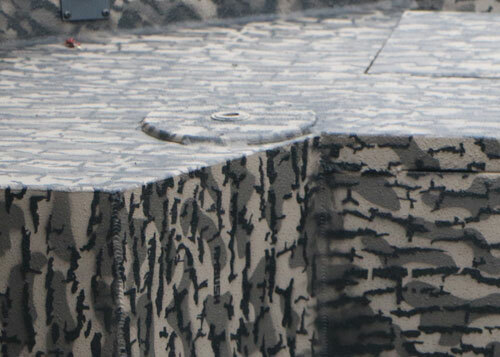 With the .100 gauge hull it’s 20% lighter than the Outlaw Mud Hull. 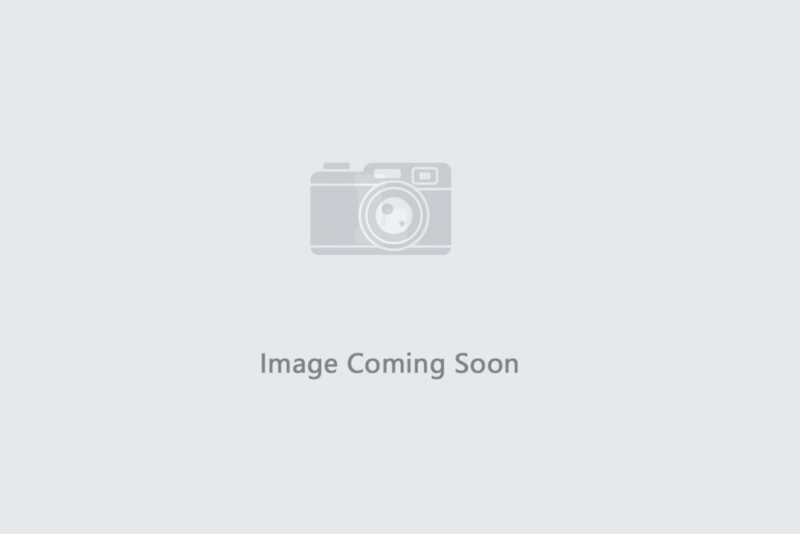 Stand by, images being updated. 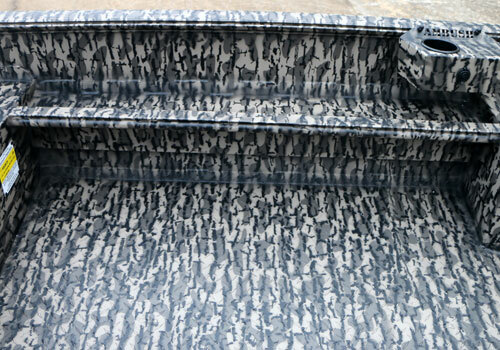 Available on the Outboard Model only, choose from High or Mid Deck w/ Storage lid. Available in 2ft, 4ft, and 6ft. Perfect for tying down your gear. 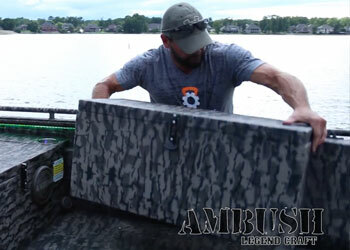 Perfect storage options for hunting or fishing. Keep your fish and bait fresh. Select up to 5 seat bases. 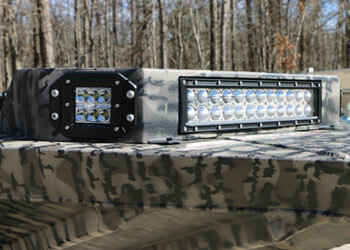 The light bar features a 12” spot flood light on the front and a flood light on each side to easily illuminate your way. 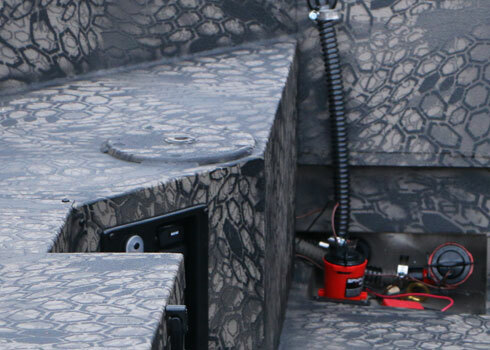 Trolling motor bracket with wires. 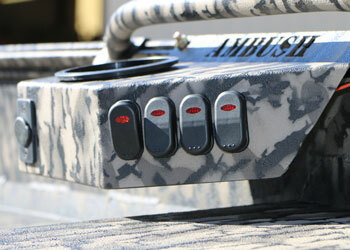 The back side of the light bar features the AMBUSH logo cut in. 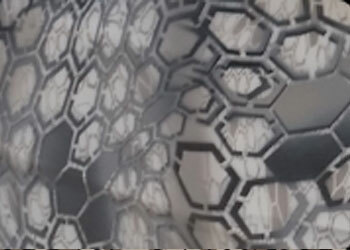 With the lights on, this becomes backlit for a very cool effect. 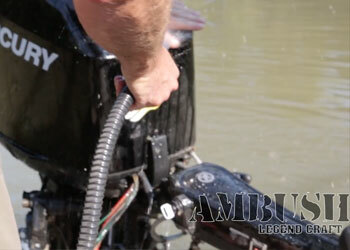 Our systems are built with a true wash down pump, powerful enough to get the job done. Complete kit stored nicely in the back. Painted to match the boat. 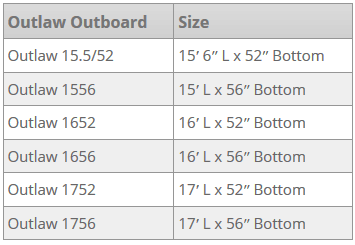 View all Legendcraft Boats and compare the models and sizes.